Just in time for the holidays! A published collection of all my Inktober drawings is now available for sale on MagCloud! The book is $18 and there are many shipping options to choose from to be sure you get it on time for the holidays! 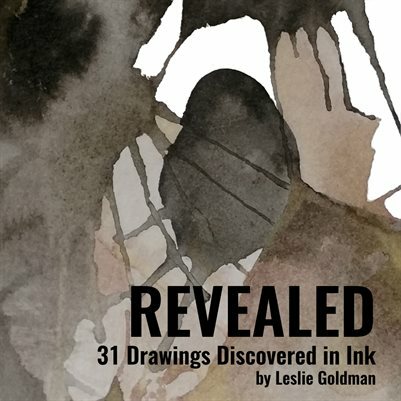 Revealed 31 Drawings Discovered in Ink is a collection of artwork created by Leslie Goldman. These works were made during the month of October in 2017 for the social media based event Inktober. Many of these whimsical and imaginative drawings emerged from ink spots and were embellished and discovered as the ink was blown and brushed on to the page.